I’m an admitted audiobook junkie, having had a commute to work over the last few years that is anywhere from 2-3 hours (even though its only about 50 miles), I’ve become well-acquainted with audiobooks. This was my second year of participating in the Armchair Audies, where we attempt to listen to all the books nominated in the various categories for the Audies and it was my second year of listening to the romance category. 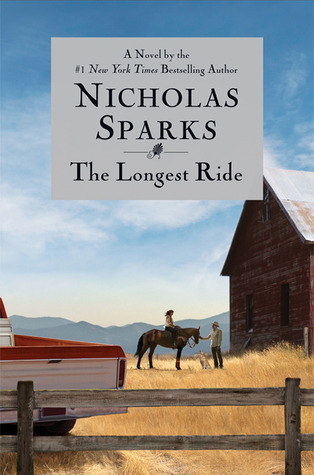 The winner for the romance category this year was The Longest Ride – Nicholas Sparks – you can read my review HERE. I was impressed by the narration by both January LaVoy and Ron McLarty. It was the best nominee out of the ones in the category and I was glad to see it win (although, I know lots of strict romance readers disagree – but hey, disagreement is the spice of life). What is your favorite romance book? (it can be an audiobook or print – since I know some of my favorites are still not available in audio). My favorite romance, fantasy, scifi, and historical fiction novel all rolled into one is Diana Gabaldon’s Outlander…actually the entire series. Jeaniene Frost’s Night Huntress (and related) series. Haven’t read that – but was the movie based on it? I remember reading Love Story and watching the movie as a teenager. For those of us who weren’t already in love with Ryan O’Neal….this movie ‘sealed the deal’. My favorite romance has been His Captive Bride by Shelly Thacker. The story was amazing and I just love the narrator. She makes the book come alive! (I also loved His Forbidden Touch, same author and narrator). Thanks for the giveaway!